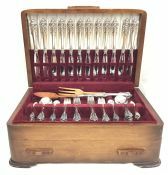 Discover our large selection of discontinued antique and vintage Sterling Silver Flatware Patterns. Our inventory is always changing and prices are roughly half of Birks last retail price list (Birks has stopped making sterling silver flatware). 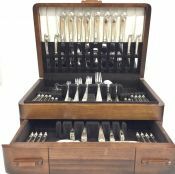 We also have a great selection of Silver Plate Flatware in-store and a Limited Selection Here. Please Contact Us for inventory and prices or visit the shop. Grande Baroque Pattern by Wallace Sold by the piece or by the set (contact for price). Please contact us for the availability of the pieces you need. Please contact us for the availability of the pieces you need of Chippendale by Birks or Ellis.